Edie Rodriguez’s Crystal ball must be spinning in confusion. Expansion plans for her ultra-luxury cruise line have been torn up and re-written yet again. 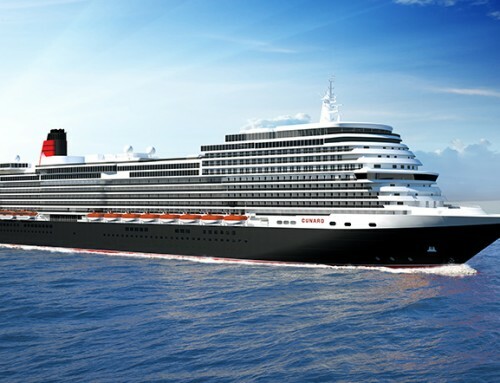 She hinted to me that changes were on the way a few weeks ago, when the debut of the first 1,000-passenger Crystal Exclusive ship – originally intended for 2018 – was pushed back to 2021. The delivery date will now be even later, in 2022. Crystal Cruises’ two existing ocean ships, Serenity and Symphony, will be given extensive makeovers in the meantime. Work will be carried out in 2017 and 2018, similar to past refurbishments, such as the $52-million “extreme makeover” to Serenity in 2013 and the $20-million redesign to Crystal Symphony in 2014. The most significant outcome of these investments will feature full open seating dining for guests on both ships and more suites. 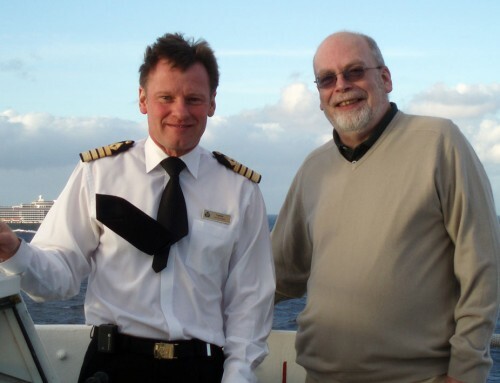 Prompted by the success of Serenity’s recent transit of the North West Passage, and a growing interest in expedition cruising, Crystal’s Yacht Cruises brand is to re-named Crystal Yacht Expedition Cruises. The new banner will encompass three new-build expedition mega-yachts, including the previously announced Crystal Endeavor. 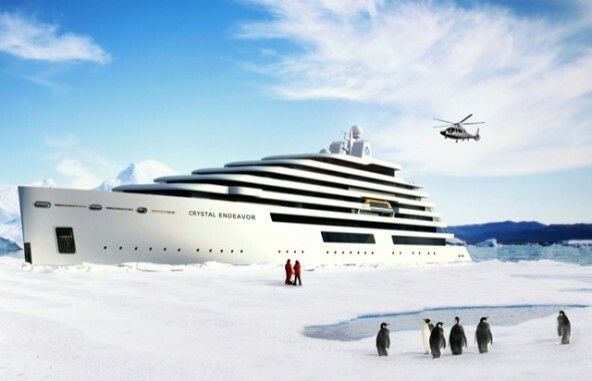 The purpose-built polar class mega-yachts will be equipped with submarines, helicopters and remote operated vehicles. They will cruise in the Arctic; then follow the route of migrating whales along the coast of the Americas and Europe to Antarctica during winter. Crystal is scheduled to take delivery of Crystal Endeavor (above) in mid-2019, with the additional two expedition vessels debuting in succession the following years. On the rivers, Crystal Mozart has earned almost 100 per cent satisfaction rates from guests since its launch in July. Next summer, Crystal will introduce Crystal Bach and Crystal Mahler, while Crystal Debussy and Crystal Ravel will follow in 2018, with two additional newbuilds later. The first four vessels will sail along the Danube, Rhine and Main rivers. In the air, the 26-year-old company launched Crystal Luxury Air in April, a private jet charter service with a Global Express Jet carrying just 12 guests. It announced last week the inaugural journey for Crystal AirCruises in partnership with The Peninsula Hotels, which will take guests on lavish global adventures in the comfort of Crystal’s privately owned Boeing 777-200LR. A second Global Express jet will be added to the fleet next year. If all that is difficult to follow, here’s a quick summary (which makes no mention of the previously-announced third and fourth Exclusive Class ships). 2017: Crystal Bach and Crystal Mahler launch; Crystal AirCruises takes flight; Crystal Symphony enhancements and Crystal Luxury Air debuts second Global Express Jet. 2018: Crystal Debussy and Crystal Ravel launch; Crystal Serenity enhancements. 2022: Crystal Exclusive Class™ with Crystal Residences debut.